In small bowl, mix dip ingredients; set aside. On each cocktail pick, thread 1 olive, 1 tomato and 1 half-slice cucumber. 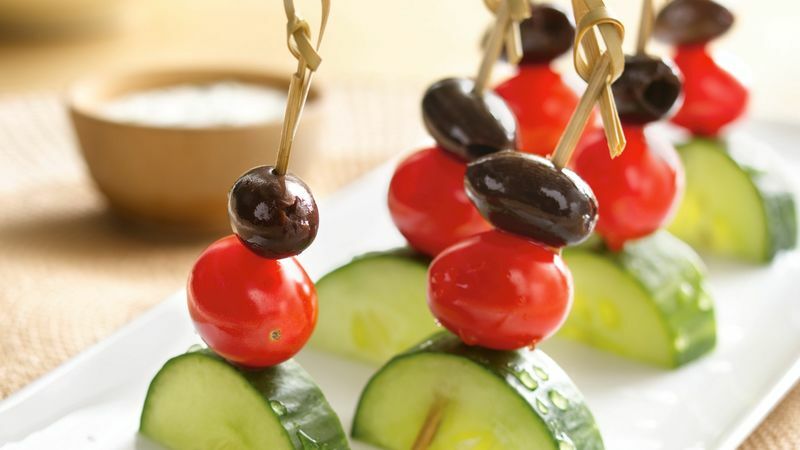 Serve kabobs with dip. A regular cucumber can be substituted. If the skin is thick or has been coated with a vegetable coating, you may want to peel it. Small pitted ripe olives can be substituted but will lack some of the flavor kalamata olives impart.